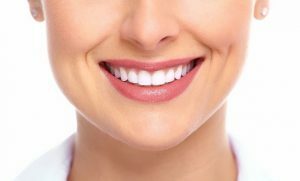 Want to have your teeth whitened in Anchorage? Even with a great diet and excellent at-home hygiene, teeth stains and discoloration can occur. If your smile is marred by stains or discoloration, Dr. David Green of Turnagain Dental can help. He offers professional chairside teeth whitening treatment to lift stains for whiter, brighter teeth and a more attractive overall smile. A single treatment can give you the whitening results you want quickly and painlessly. To complement the results of chairside whitening, Dr. Green can then create customized touch-up whitening trays for you to use in the comfort and convenience of your own home. If you think you would benefit from professional teeth whitening, please contact Turnagain Dental and request more information today. What Kind of Stains Can Teeth Whitening Eliminate? The bleaching agent used in teeth whitening treatment breaks stains into smaller pieces, making the color less intense and the teeth whiter overall. Note that teeth whitening treatment won’t bleach or lighten the color of restorations like fillings, crowns or veneers. If you are combining teeth whitening with the placement of porcelain veneers (perhaps in a smile makeover), it is probably best to place the veneers first and then lighten the teeth to match the veneers. Dr. Green can recommend the most suitable approach during consultation. Prior to starting chairside teeth whitening, Dr. Green checks all of the teeth for any damage or areas of decay. If he finds anything, those issues are remedied before proceeding with whitening treatment. A rubber shield or similar barrier is placed over the gums to protect the tissues from the bleaching agent. Then, the bleach is applied to the teeth. Depending on the specific system Dr. Green uses, he may activate the bleach with a special light. 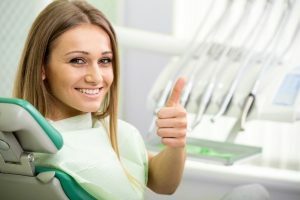 After the bleach has sat on the teeth for about 10 to 15 minutes, it is removed and the process may be repeated until the teeth have reached the desired color. Dr. Green may fit teeth whitening patients for take-home trays. Fitting these trays to the individual patient helps prevent the whitening gel from leaking out of the trays and irritating the soft tissues of the mouth. He can also provide the bleach as well as instructions for how long and how often to wear the trays. The results of teeth whitening can last a long time with the proper oral hygiene habits. The teeth need to be brushed and flossed daily and checked by a dentist twice a year to ensure they are healthy and strong. Chairside whitening treatment can be repeated periodically to freshen the results. If you would like to learn more about teeth whitening treatment with Dr. Green, please contact our Anchorage office to schedule a consultation today. We look forward to helping you enjoy a brighter, whiter smile.